I decided to make this Warm Lentil Salad yesterday while I was in the middle of wrapping packages and realized that I hadn't had much of a meal all day long! I'm definitely in holiday mode and just trying my best to get everything done, but I was hungry. 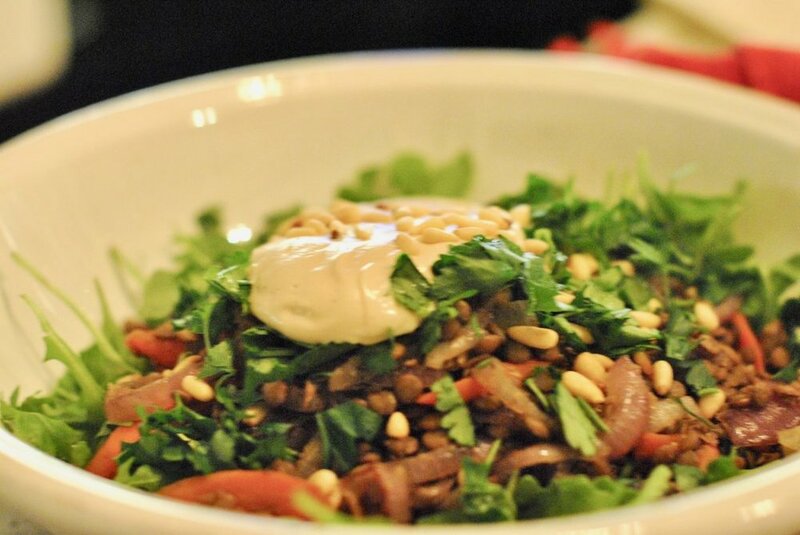 Warm Lentil Salad was just the thing for a quick and very healthy dinner. The recipe is adapted from a blog that I love called Deliciously Ella. Ella Woodward is an English food blogger and has written three cookbooks. All of the recipes are plant based, dairy free and gluten free. After trying this recipe, I'm going to order all three of the cookbooks because I want more recipes like this one! I did grill some chicken to go along with dinner, but the Warm Lentil Salad would have been a great vegetarian meal with nothing else. Dinner was absolutely delicious and I felt like I had really done something nice for myself. The best part is that there are leftovers and I can have it again for lunch! Keep scrolling for the printable recipe! 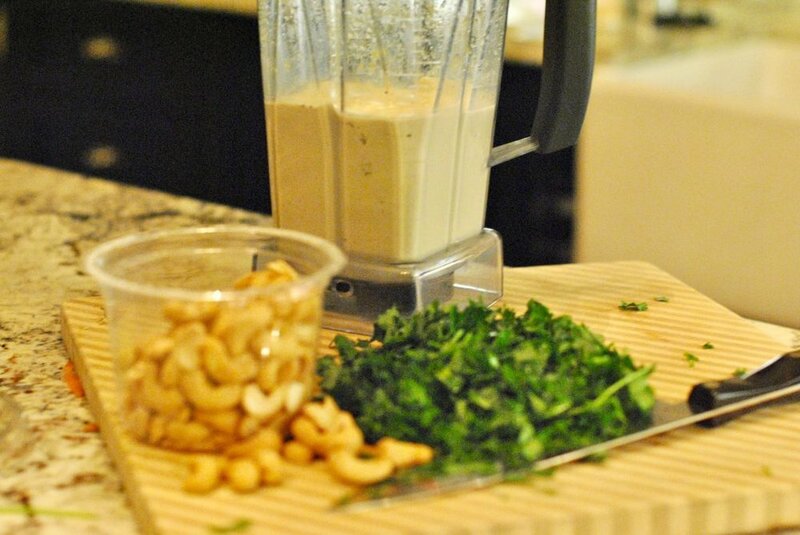 To make the cashew cheese, cashews are mixed in a high powered blender along with lemon juice, nutritional yeast, (nutritional yeast can be found in most good grocery stores and is a great source of vitamin B12), water and salt and pepper. It is unbelievably delicious and so very healthy! It would be a great salad dressing for most any kind of salad, a great dip for veggies, and it would be fabulous as a sauce for grilled chicken. I hope you'll try this great recipe and check out Deliciously Ella for more great recipes and inspiration for a healthy lifestyle. Also, be sure to leave your email in the pop up to receive my free Crazy Blonde Life Holiday Guide which includes recipes for easy hors'doeuvres and more! Also, follow me on Instagram @crazyblondelifeblog! Jan 3 Three Egg Recipes You'll Want to Make Tonight!